These are the Generation 2 Mod 2 pin sets. 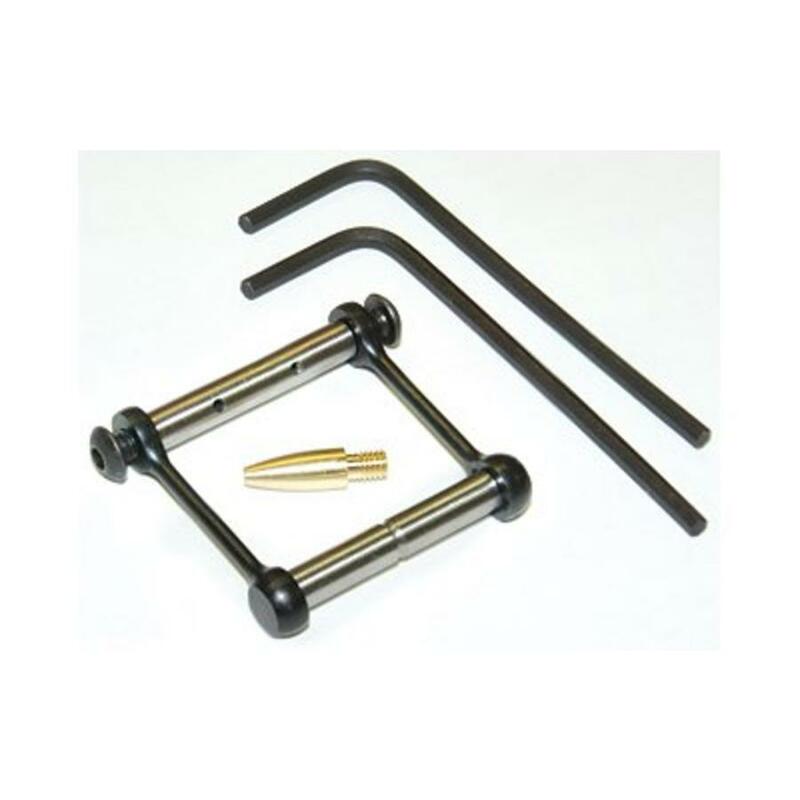 They are the STRONGEST pins that can be produced and were designed to withstand the high impact of full and semi-automatic 9mm and .223 suppressed weapons. 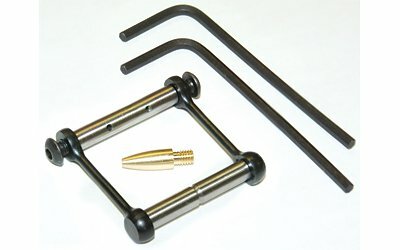 They will also fit the .308 AR rifles. The pins are stainless steel. End retainers are black Nitride, dark earth, or OD green. An absolute must-have for all M-16 owners. They will also protect your AR-15. Special anti-creep retainers prevent wear on your irreplaceable M-16 or AR-15 receiver. Pin installation tool & 2 TORX wrenches & screws included. No modification to firearm required. THE TORQUE SPEC ON THE SCREW IS 11 inch/lbs. MAXIMUM. We recommend 8INCH/LBS of torque. The .1555 dia. pin is for worn receiver trigger and hammer pin holes. Being non-rotational, further wear is eliminated. They will also fit new receivers and will remove the free-play in match triggers. The .1555 will not fit Jewell Trigger System. IMPORTANT NOTE: The external width of some AR receivers may vary in the trigger/hammer pin area depending on the manufacturer. The pins being too long will not affect the function or performance. The .170 size fits large pin Colts. For Rock River National Match triggers use the .1555 only. The only difference from the Gen 2 pin kit is the appearance of the sideplates. There is no strength difference. PLEASE READ the INSTRUCTIONS!!! Over-torquing the screws can cause damage to these sideplates.